Our greeting cards are inspired by our successful print collections with contemporary graphic and bold designs. 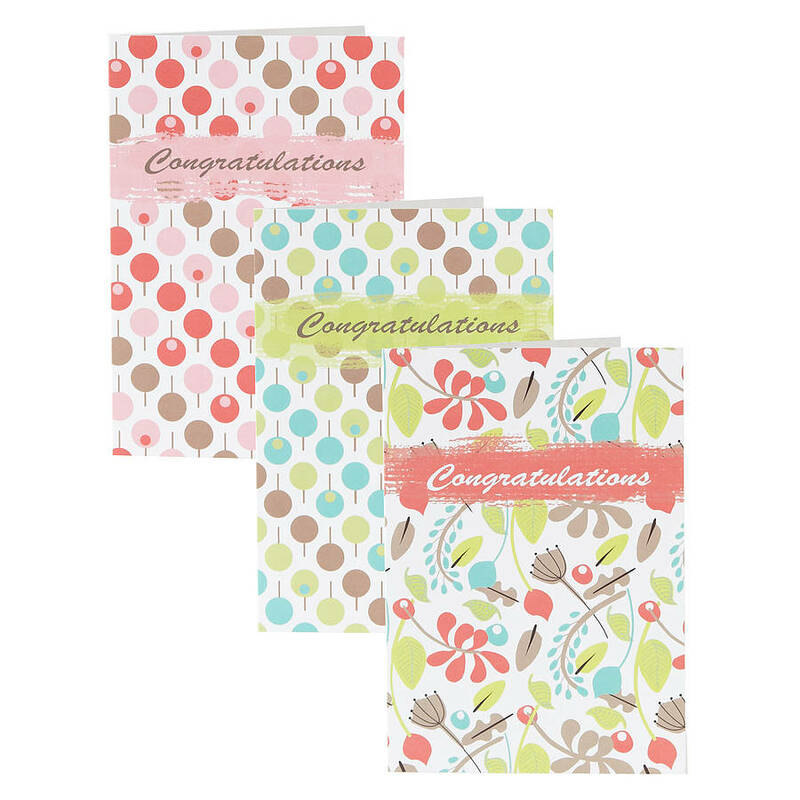 A unique printed greeting card congratulating a birthday or the birth of a baby….or......have you just found out one of your friends is pregnant and really want to let them know how happy you are for them? 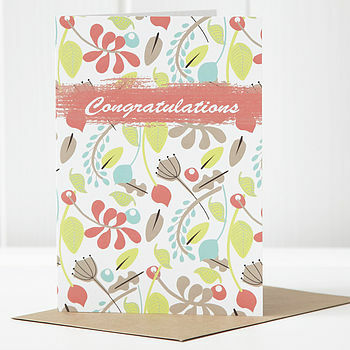 The card matches many products in our Garden collection which all together - with the card - make a great baby gift. All cards measure 175mm x 12mm and are printed in the UK on card from sustainable forests. 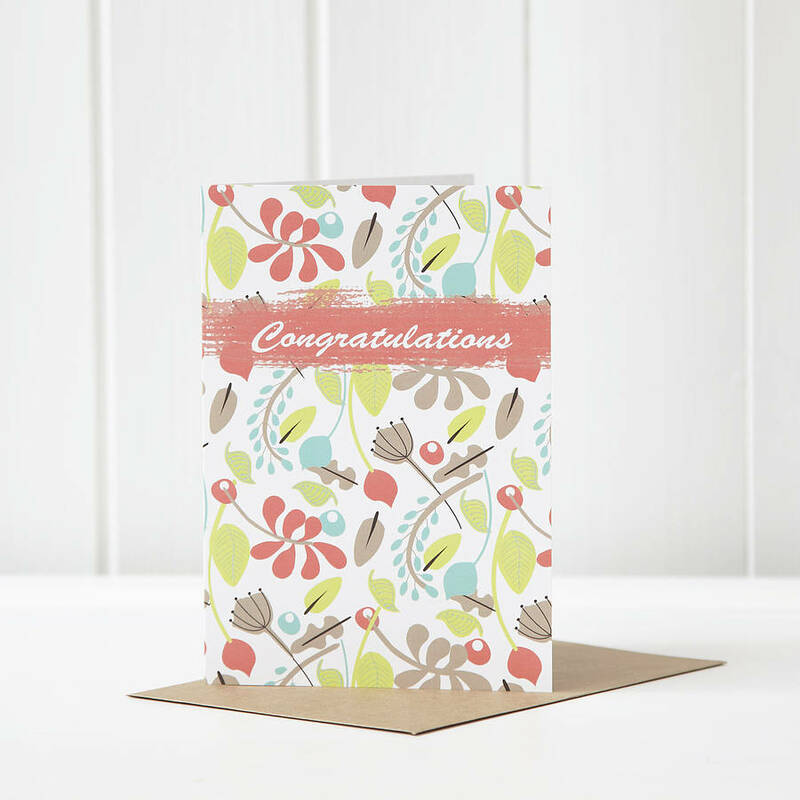 You can choose to buy only one unit of the greeting card or a pack size of 5 cards. If you like to get a mixed selection of all three different printed cards you can even choose that! Luxury 300 gsm super smooth card stock is used and cello wrapped individually. The card comes with a kraft coloured envelope.